It’s the beginning of the school year and your class needs supplies! Can your students successfully shop for everything they need and stay on budget? 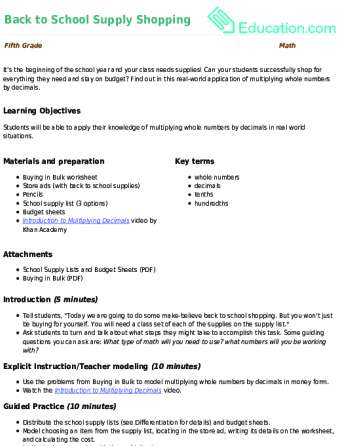 Find out in this real-world application of multiplying whole numbers by decimals.